Home | Music | New Music Releases | Sam Smith announces new single "Pray feat. Logic"
Since Sam Smith released his debut album, 'In the Lonely Hour' back in 2014, he has become one of the world's biggest recording artists. Alongside his range of impressive awards, including an Academy Award, a Golden Globe, three Brit Awards and four Grammy's, he has topped charts, with over 17 million global album sales. Sam's achievements don't seem to stop there. 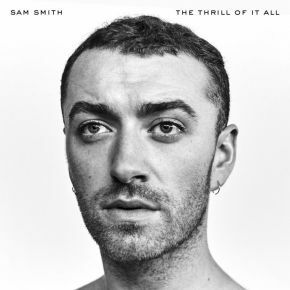 After the recent release of his album "The Thrill of It All", which charted at #1 in the UK and US and has already sold 3.5million copies worldwide, today he has announced the upcoming release of his latest single. "Pray feat. Logic", is a sensational, soul-filled slow-jam created in collaboration with legendary producer Timbaland, and his friend and collaborator Jimmy Napes. The incorporation of Smith's passionate vocals with a powerful backing choir alongside vocals from American rapper Logic is transformational, creating a unique, soulful sound. When asked about the inspiration behind what is a hugely powerful song, Sam explains "We are all looking around at what's happening in the world and it is just messed. You've got no choice but to look up to the sky and put your hands together and pray for something to happen, because I feel helpless as a human right now." On Tuesday afternoon, he tweeted saying "I am so excited for you to hear this new version of one of my favourite tracks on the album." And anticipation for the new single is at an all time high after Smith performed the emotional and hard hitting original song on Saturday Night Live last year. "Pray feat. Logic" will be available to stream and buy from 3pm BST on 29th March worldwide. You can catch Sam Smith on his 92 date world tour through Europe, North and South America, Australasia and Asia this year. Tickets to his tour, which began in Sheffield on 20th March, are linked below.